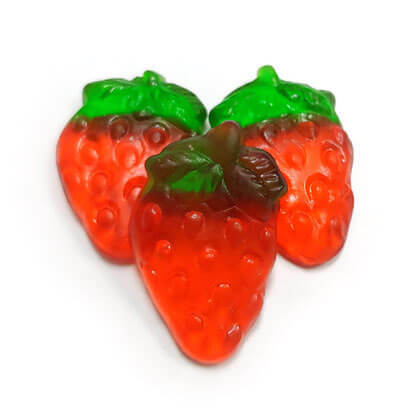 Haribo imported gummi strawberries. Plucked fresh from the gummy garden, bursting with summertime strawberry flavor. Approx. 1 inch tall and 6 pieces per ounce. Imported. 10 ounce bag.